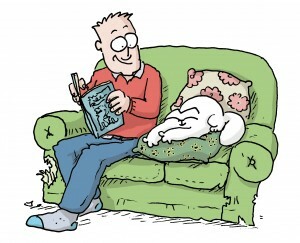 Simon’s Cat is a charming, yet mischievous cat that lives with his long suffering owner – Simon. He made his first appearance online, in a film called Cat Man Do, made by animator and illustrator, Simon Tofield. Since then he has appeared in books, games and comic strips. Simon is an English animator, who has a great interest in British wildlife, painting, the great outdoors and of course cats. Simon started animating at a very young age. Inspired by cartoons on TV, he used to create basic flip-books in an attempt to emulate the techniques he saw being used on screen. You can find out more about how he created Simon’s Cat in his film – The Simon’s Cat Story. What is the name of Simon’s Cat the character? The character is simply known as ‘Simon’s Cat’. Simon had and have several cats throughout the years. Their names are: Jess, Maisy, Hugh, Teddy, Poppy and Lilly. Hugh was the main inspiration behind the first Simon’s Cat film – Cat Man Do and Teddy was the inspiration for the Kitten character. Unfortunately Hugh passed away in 2015. You can read Simon’s tribute to Hugh here. Jess also passed away in 2016 and now Simon has adopted the mother – daughter pair of Poppy and Lilly. Read more about them here. 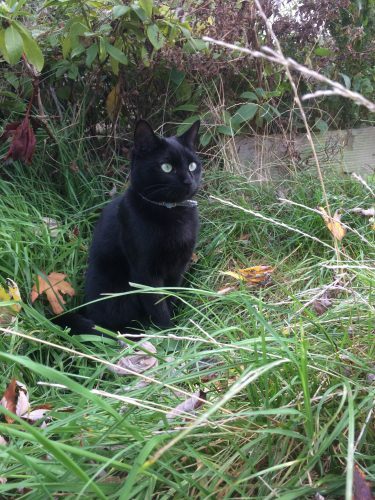 Do Simon’s real life cats provide the cat sounds for the films? All the character sounds and noises in the films are performed by Simon himself! The only exception is the bird from ‘Snow Business’, which is a real robin. Shrooty is the talented sound designer who helps Simon create the sound for the Simon’s Cat films. The films are made using Adobe Flash or TV Paint animation software and are hand-animated in a traditional manner, frame by frame. 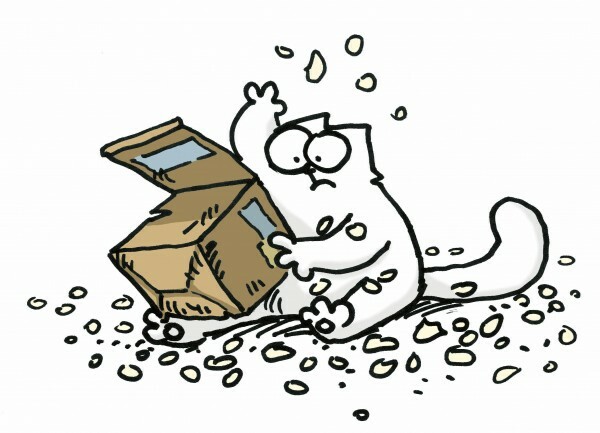 It usually takes between 12 and 25 drawings to create 1 second of a Simon’s Cat film. Each film can take 10-14 weeks to make, depending on the length, number of characters and complexity. What software and hardware do you use to animate each episode of Simon’s Cat? We use a mix of Adobe Flash and TV Paint software, using Wacom Cintiqs or tablets to draw directly in to the computer.. The films are roughed out first to establish timings, and then reworked over a matter of weeks, depending on the complexity of the film. Once animation is approved, the line is ‘cleaned up’ then characters and objects filled with white. Can I purchase the Simon’s Cat films on DVD or iTunes? All the Simon’s Cat films are available to watch for free on the Simon’s Cat YouTube channel. We have released a DVD but at present it’s only available in Germany. We hope to be able to release a DVD in other territories but are currently looking for partners to help with this. I have an idea for a film, where can I send it? 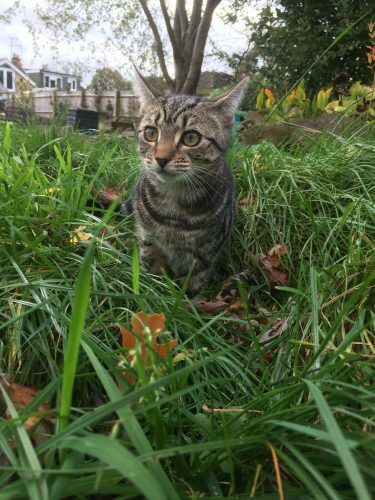 We always love hearing from fans with stories about their pets and ideas for an episode, however Simon usually refers to his books for inspiration for the next film idea, which are all inspired by living with his 4 cats. They each have their own personality and give Simon plenty of inspiration. If you would still like to share your story with us, we will be happy to hear from you on contact@simonscat.com. Where can I buy Simon’s Cat Merchandise? The Simon’s Cat SHOP stocks a wide variety of Simon’s Cat merchandise that is shipped from the UK. We also work with international licensees to produce Simon’s Cat merchandise. I have an enquiry regarding the official webshop products/my order, whom should I get in touch with? If you would like to get in touch with Simon or the team you can email us at contact@simonscat.com. There is also a list of contact details in the footer below. I am an animator looking for work, where can I apply to be a part of Simon’s Cat team? To apply to available positions please email us your CV and a showreel, to jobs@simonscat.com.